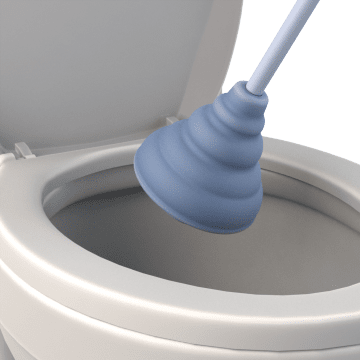 Also known as force cups, toilet plungers are used to clear clogged toilets. When the plunger's rubber cup is placed over or into the drain opening and then pushed in and pulled out, a vacuum is created that breaks up the blockage in the drain or pipe. 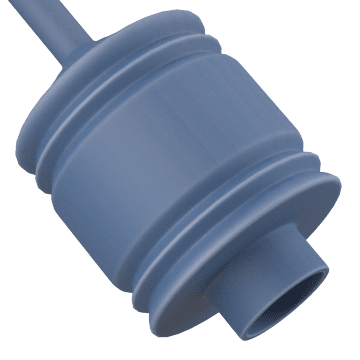 The most common style of plunger, these standard plungers have a rubber cup that is placed over the drain opening in a toilet to form a tight seal when plunging the drain. 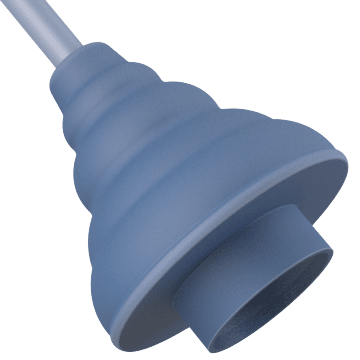 Featuring a bellows-style cup with a flanged end that fits inside the toilet drain, these plungers create more force and require less exertion to clear a blockage than standard cup plungers.